Sleep-ins, impossible rotas, zero hours contracts, unpaid travel time, just fifteen minutes to care. When you’ve got a problem, we’re right there to help you. 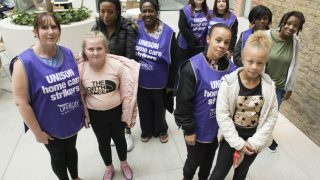 UNISON is the UK’s largest union, and we’re the union for care workers. So, what are your rights, and what can you do? There are around half a million home care workers in the UK, and many are facing issues like you at work. The UNISON-backed case argues that sleep-in shifts should count as working time and be paid at least hourly minimum wage rates. 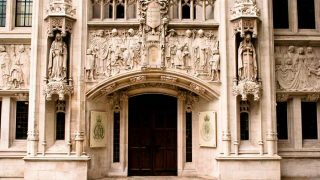 Previously, the Court of Appeal had decided that sleep-in shifts do not count as working time. UNISON argued this is wrong, and is at odds with legal precedents and a common sense understanding of what counts as work. We have now won the right to appeal at the Supreme Court. Most care workers on sleep-in shifts aren’t sleeping. Most nights they have to get up to care for people, are on constant call, and are not free to come and go from their place of work. UNISON’s general secretary Dave Prentis said: “This is extremely good news. Last year’s judgment has meant uncertainty for employers and care staff alike. Now there’s the chance to clarify the law once and for all.” When we get a court date we will let branches, regions and members know. If you’re not already a member of UNISON, join now. Will my current claim for back pay be honoured, or can I still put in a claim for back pay? This is currently unclear. Individual members with queries about claims should contact their branch or regional officer to ensure they are updated. To find your branch contact details, please use the Branch Finder or phone our member helpline on 0800 0 857857. Can employers stop paying the minimum wage for sleep-ins? This is a fear, but we hope that, with most councils’ funding at national minimum wage levels, we do not go back to the bad old days of small lump sum payments. Am I entitled to paid travel time? Yes. All homecare workers are entitled to be paid at least the national minimum wage or national living wage for the work that they do. This includes care workers on zero hours contracts. This means that time spent caring for clients, travelling to appointments and waiting to start the appointment should be included in the pay calculation. At the very least the work done must average out as at least the national minimum wage or national living wage. If it does not, then the pay is unlawful you can make a claim to the Employment Tribunal or raise a complaint with HM Revenue & Customs via ACAS. Tens of thousands of homecare workers are not being paid for their travel time. 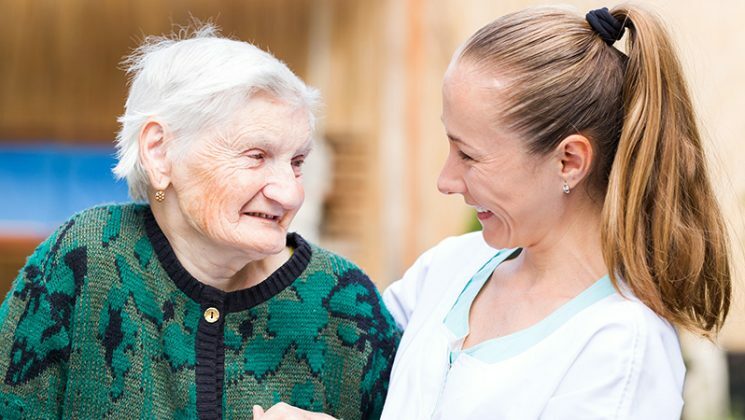 Homecare workers spends their days making visits to people who need care; they are constantly on the move. Government guidance is clear – you should be paid for this. What is the minimum and national living wage? If you are a worker aged 25 and over, you are legally entitled to at least the National Living Wage. From 1 April 2018 the national living wage is £7.83 per hour. It is illegal for your employer to pay you below the National Living Wage, so check your pay and make sure it is correct. It doesn’t matter how small an employer is, they still have to pay at least the national living wage or minimum wage (depending on your age). You should also be paid the national living wage for your travel time between clients, or between a client and the office. Can I claim tax credits or universal credit? Can I get help with the cost of cleaning my uniform? wear a uniform to do your job. There is no tax relief for the costs of cleaning ordinary clothes. Do I have a legal right to join a union? All workers and employees have a legal right to join a trade union if they wish to do so. It is unlawful for an employer to discipline or sack a person because they talk to or join a trade union. Being a member of a trade union gives workers greater protection and access to a wide range of services and benefits. I’m on a zero hours contract, can I join a union? Yes. A number of UNISON members are on zero hours contracts and have been supported by their union to raise issues with their employer. You also have access to a wide range of services and benefits as a result of being in the union. What should I be paid for sleeping-in? Check the latest update on sleep-ins in the box above on this page. Does it cost a lot to be in a union? UNISON has membership rates which are linked to earnings. The more you earn the more you have to pay. However, these have been calculated to be affordable for each band – our lowest rate of subscriptions is just £1.30 per month. Membership of UNISON gives access to a wide range of services. For more information or to join today. Am I entitled to a contract? Employees are legally entitled to a contract – a written statement of the main terms and conditions of employment – within two calendar months of starting work. Your contract should include details of things like pay, holidays and working hours. What are my rights as an agency worker? Agency workers have the same rights as other employees with respect to basic employment and working conditions, if and when they complete a qualifying period of 12 weeks in a particular job. What are my rights to holidays, maternity pay and other leave? There are laws setting out the minimum amount of leave you can take – you cannot be worse off under your employer’s own terms. Do I have a right to a rest break? Workers over 18 are entitled to 3 types of break – rest breaks at work, daily rest and weekly rest. You have the right to a 20 minute rest break during your working day, if you work more than 6 hours a day. This could be a tea or lunch break. The break doesn’t have to be paid – it depends on your employment contract. You have the right to 11 hours rest between working days, eg if you finish work at 8pm, you shouldn’t be asked to start work again until 7am the next day. What are the rules on staffing in care homes?